Look into the eye of a salmon, get eye to eye, then ask yourself, do you want this king of fish, this iconic species, this muscular adventurer of the high seas, so symbolic of the former magnificence of our oceans to become the stuff of myth? Do we want our rivers leaping with these masterful silvery creatures to become a distant memory lost in the mists of time? 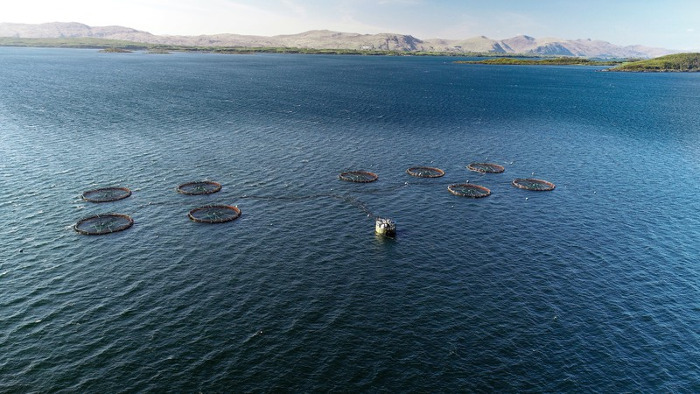 Large scale industrial salmon farms cannot be blamed for the loss of all wild salmon and sea trout on the west coast but they do have a lot to answer for. We need Parliament to demand reform before any more expansion. The Parliamentary Committees said “the status quo is not an option”. …Yet we still need answers to many unanswered and in some cases un-asked questions. This is a duty of care. Words fail at the suffering of these caged and magnificent creatures, looking to humans for their care. I’d not want to give the impression that all fish in cages suffer like the fish above – or all fish farmers are as negligent, that would be unfair to those that do their best. 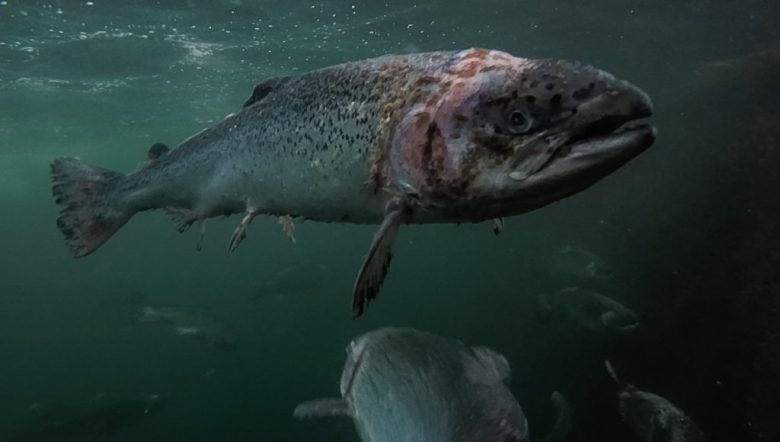 I’d also like to point out that the opinion in this blog is mine – for it seems to me that this poor salmon’s suffering is not only real – it is symbolic. It reflects back at us how something essential in us has died as a culture, how our inner worlds have become separated from nature, and some at least have severed their empathetic connection to our fellow creatures. This disconnection underpins the mistreatment of animals as and for ‘supermarket product’. Not just animals but the ecosystem as a whole. This magical fish of folklore, so central to Scotland’s natural history is telling us something. Look in its eye. I feel shame as I imagine a possible future situation in which the salmon’s wondrous former existence is recounted in reverent whispers at the bedsides of children. In hushed tones a cautionary tale is shared of how our blindness lost this silver beauty from the west coast. On our watch. Industrial scale fish farming is a symptom of a deeper problem and not the root cause. The root cause is what I think of as separation consciousness. Theories suggest that as human consciousness evolved we yearned to transcend our mortality and Nature and the fear this creates. Yet now this separation consciousness needs to be married back to the earth and our hearts so we can embrace the Natural world as part of ourselves once more. This poor fish’s suffering reflects back at us the trouble we are in. As well as our own imbalance. We need to wake up to how our fates are entangled, not just for the salmon’s sake but for ours too. We need to remember we are Nature. The salmon’s suffering is a mirror on our damaged collective soul. Ironically the consciousness of separation which made our culture so brilliant, is also the root of fear, disconnection and competition. What is so great about us is also ironically what is so destructive. We need to re-remember we are part of this great entangled ball of biology spinning in the cosmos. We need to evolve – get balanced – and either the consciousness of our politicians needs to change or we need to change our politicians! Sea Change have asked our MSPs in the Highlands to use the debate on salmon farming in Parliament to ask some really searching questions of our Ministers and to hold them to account publicly. Our hope is this debate will put real teeth in to the reform recommended by the ECCLR & REC committees in their reports. 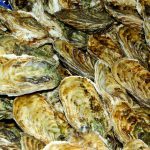 Read the full blog post with suggested questions at Sea Change Wester Ross. The Salmon Farming in Scotland report can be read online here – the parliamentary debate is currently expected to be held on 6th February 2019. Find out your local MSP here.